Please select a size. 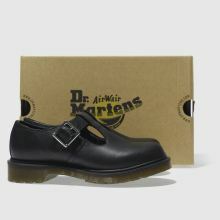 UK 3 - In StockUK 4 - In StockUK 5 - In StockUK 6 - In StockUK 6.5 - In StockUK 7 - In StockUK 8 - Low Stock Please select a size. 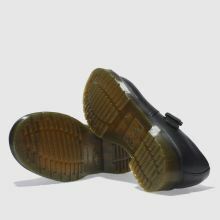 A T-bar shoe is a wardrobe staple and the Dr. Martens Polley T-Bar is no exception. 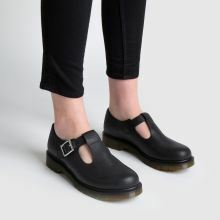 Arriving full of '90s Mary-Jane charm and the brand's edgy appeal, the black leather shoe is complete with a silver buckle fastening and a cushioned AirWair sole unit.